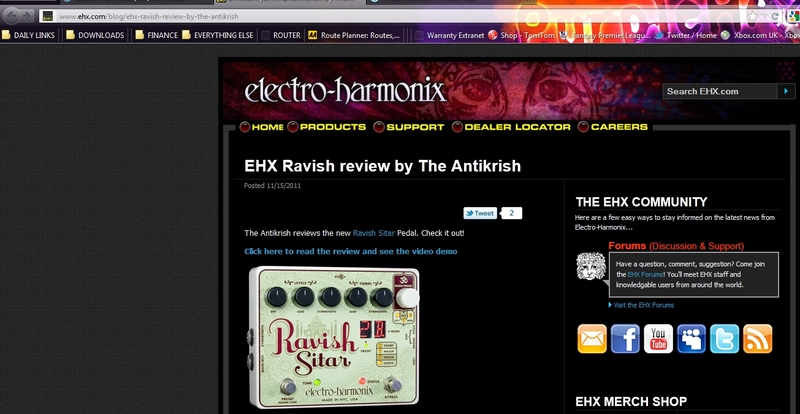 Antikrish Ravish Sitar Pedal review on EHX.com too! I’m on the Electro Harmonix website too!!! Woooohoooooo! This entry was posted in Kevs Anti-Rants and tagged www.ehx.com on November 15, 2011 by Kevin.